It seems that you can’t read or watch the news without seeing some form of artificial intelligence, connected sensor, and augmented or virtual reality technology creeping into daily life. Today, tens of millions of U.S. homes sport smart “connected speakers” and other semi- or fully-autonomous devices that control heat and air conditioning, track shopping lists, and curate background music. And don’t forget the smartphone apps ready to answer our spoken questions or layer augmented reality onto everyday scenes, as we saw last year with the Pokémon Go phenomenon. In the past year, the noise around these AI-inflected technologies has eclipsed the conversation around cloud computing, the modern way of deploying information technology in an elastic way. There’s a reason for that. Cloud computing is table stakes. Companies must now parlay the same sort of gee-whiz technology that’s taken consumers by storm into the banking, healthcare, retail, and energy applications that power (no pun intended) the world. Applying augmented reality (AR) to construction and facilities maintenance applications, for example, can lead to huge cost savings and improved safety for workers. Pairing smart glasses with software that brings building blueprints and schematics to the surface lets a contractor “see” the layout of actual pipes, joists, studs, and other structural elements that are invisible to the naked eye in the real world. Anyone who has had to deal with a busted water main during local construction should appreciate all the potential benefits this kind of technology can bring. This information, which once required a lot of manual lookups and trial-and-error work, can now be presented in real or near real time. Data is gathered and displayed so that technicians can pull up the documentation hands-free on their smart glasses and then quickly resolve a given issue. This is not science fiction. Check out this video to see how architects and contractors integrated project management software with smart glasses to build the new Design Tech High School in Redwood Shores, Calif.
Just think about an employee interacting with a hotel’s property management system via a text- or voice-based chat bot instead of navigating a bunch of computer screens? Voice is becoming the way many people prefer to interact with software. But I would argue that the business context is potentially much more compelling than what we’ve seen in the consumer arena. What if, in instead of telling your home speaker to dim the lights or order pizza, you could ask a work-related gadget how production is going at your company’s gulf oil rig? Or how well the electric grid is functioning during a weather event? Better yet, how about getting an alert pushed to your authorized device if there is a potentially dangerous (and expensive) malfunction on that oil rig? That early warning system could set off a workflow whereby a remote team examines the data to troubleshoot the problem and dispatch a fix to the site. Think about it. In many industries, technicians are dispatched to sometimes less than desirable environments in factories, mines, or chemical plants several times a year to check on machines that may be running just fine. How much more efficient would it be if they were sent only when something was about to malfunction? Not only would they be summoned to fix known issues, but they would show up armed with the correct parts, tools, and instructionsto fix the problem before it gets out of hand. The combination of the aforementioned cloud infrastructure with these new AI-inflected technologies, such as speech recognition and augmented reality, give CEOs operational efficiencies and potential new revenue streams. For example, heavy equipment makers now equip their gear with sensors that “phone home” with operational diagnostics. If a machine is running too hot, its maker will know. That closed loop communication means that the manufacturer can now sell its existing customer a subscription service that proactively sends out parts and technicians to fix issues before they come to a head. A million-dollar compressor is doing no one any good if a dirty $10 filter can bring it to its knees. Similarly, utilities that were once in the business of keeping the lights on are now awash in data they are required to track on customers’ energy usage. That’s a lot of data. With the right analytics applied, there’s value in that information that can lead to a virtuous circle of insights and opportunity. Vermont’s Green Mountain Power, for example, is working with Tesla to offer households solar batteries to help them get through power outages — no joke during that state’s cold winters. Those batteries, which rent for $15 per month, represent not only a revenue opportunity to the providers, but also a source of additional data about power usage and weather patterns that can be used to fine-tune power generation going forward. So, for the many companies that have already mapped out their cloud plans, it’s time to reap the full benefits of that infrastructure investment by implementing these kinds of smart applications. Cloud is a lot more than on-demand computing, storage, and networking resources. It is the foundation for a whole new world of exciting, smart, and profitable applications to run existing businesses more effectively, to delight customers and to open the door to new opportunities in the market. The time to get moving on that massive opportunity is now. 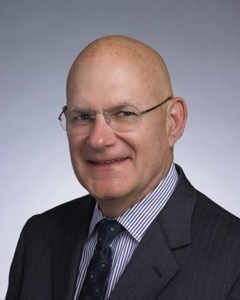 Bob Weiler is Executive Vice President for Oracle Global Business Units.